Originally published 8/29/17. Updated 4/1/19. 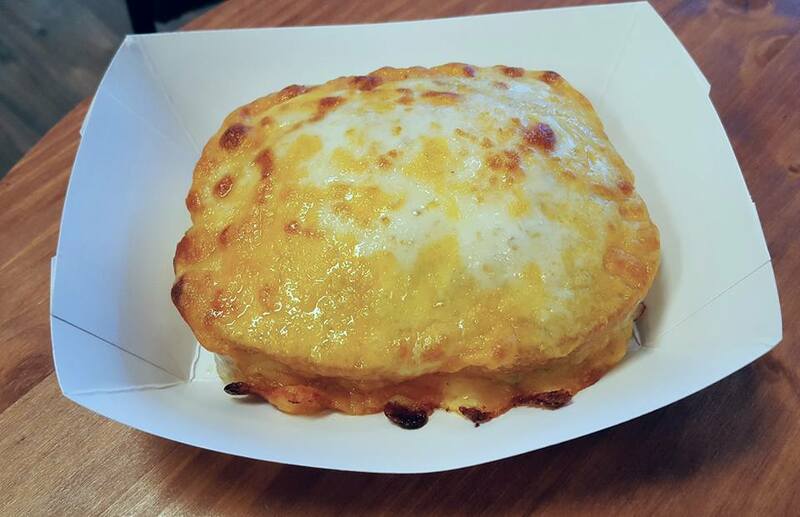 Sometimes you just have to put some cheese and meat in between some bread and take it back to the basics. Probably the single most important food ever invented is the one we tend to overlook the most. An underrated hero in the culinary world, the sandwich has defined the lives of many, from childhood to adulthood. A world without sandwiches would be a terrifying and sadistic hellscape full of sycophants and buffalo kale wraps (yeah, imagine what the hell that even means and try not to weep). The truth is, we live in a dark alternate timeline where Twitter could quite possibly cause World War 3 and people insist on making foods as inconvenient as humanly possible. I already don’t want to eat the damn salad, you don’t have to make it more complicated by stuffing it into a mason jar or a candle holder or a distressed leather faux-combat boot or whatever you’ve decided to cram lettuce into now. The only thing keeping this flat Earth from sliding off the back of a very anxious turtle (looking forward to all that flat-earthers hate-mail you guys, winky face) is the fact that we can shove an assortment of very dope foods in between two slices of bread and call it a day. 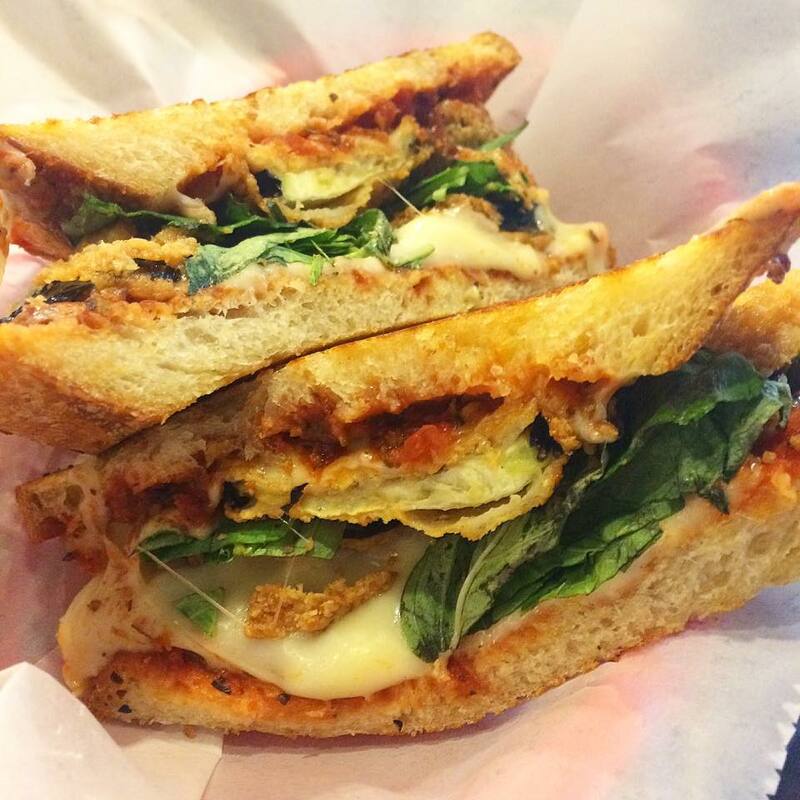 So in the spirit of all things delicious and convenient I give to you, the 7 dopest sandwich shops in Columbus. Smoosh that bread Columbus, and get your sammich on. 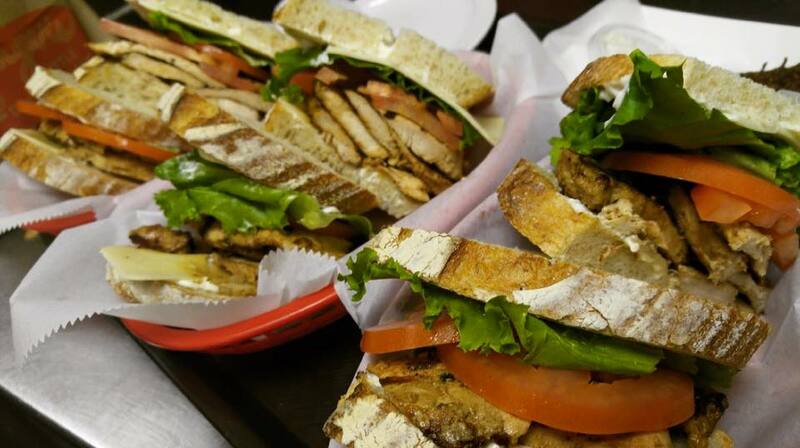 Katzinger’s uses fresh local stuff for their sammies. Stuff like Black Angus Corned Beef from Sy Ginsburg’s United Meat and Deli, Amish raised chicken from Gerber Farms, and bread from Mediterra Bakehouse in Pittsburgh. These sandwiches take themselves seriously so you don’t have to, freeing you up to make as many sandwich puns as you please. But “lettuce” go on, I know how much you all “loaf” puns. NAILED IT. Try to deny how rad of a sandwich Neighbor’s is rocking right here. 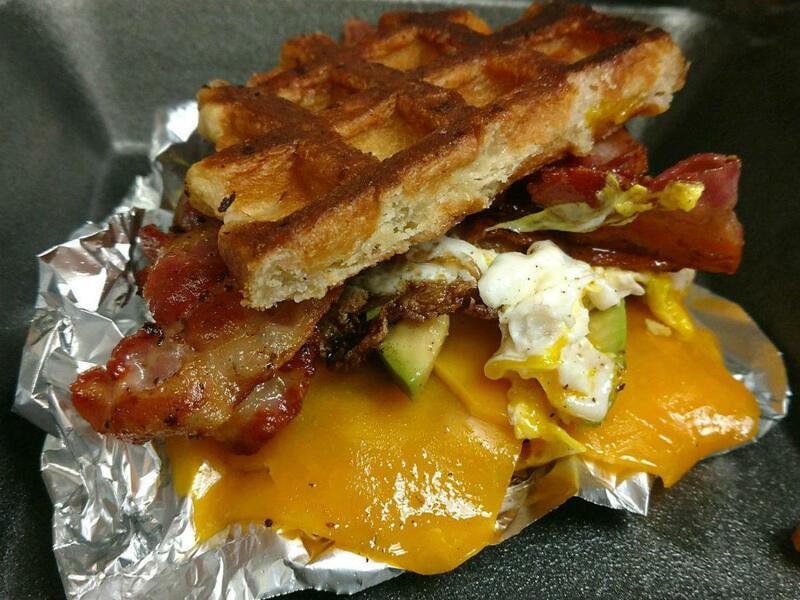 That’s their California, which totes Crispy Pearl Waffle bread, bacon, egg, cheese, and avocado. This sammie boogies on down from the golden state and bangs on your taste buds like a really bad house guest. Like, twice as bad as Sinbad in his 1995 cinematic masterpiece, “House Guest”. Watch it, it’s breathtakingly craptastic. Maybe even get some sandwiches from Neighbor’s to accompany your movie experience. This place practically redefines “brag-bagging” it. These colossal deli constructs tower over the competition, putting to shame nearly any sandwich that’s ever come before it. Not only do they have a wide assortment of classic standbys with unique twists to choose from, they also offer a Tokyo city block’s worth of ingredients for those who want to create their own delicious Godzilla creation. Cafe Phenix is a concept that has traveled a great deal from its mother country of France. 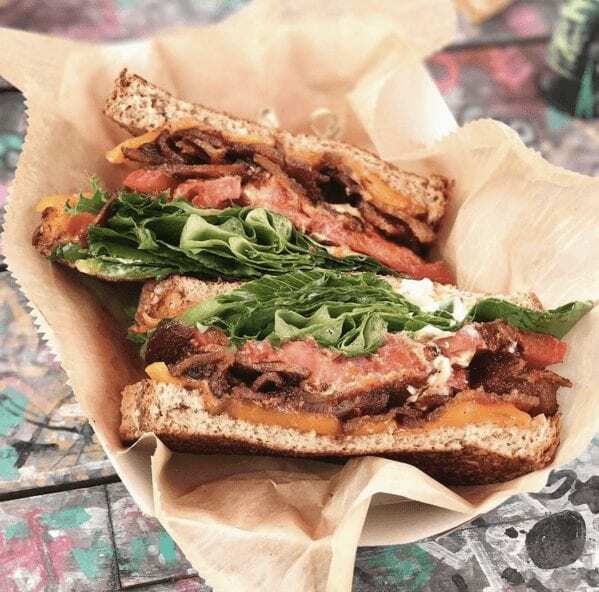 Known mostly for beverages like smoothies, coffee, and milkshakes, they’re also known to crank out some pretty killer sammiches here and there. Phenix radiates a pretty charming bohemian atmosphere that will leave you serene and centered in no time. Just try one of their sandwiches or a smoothie and try not to smile. 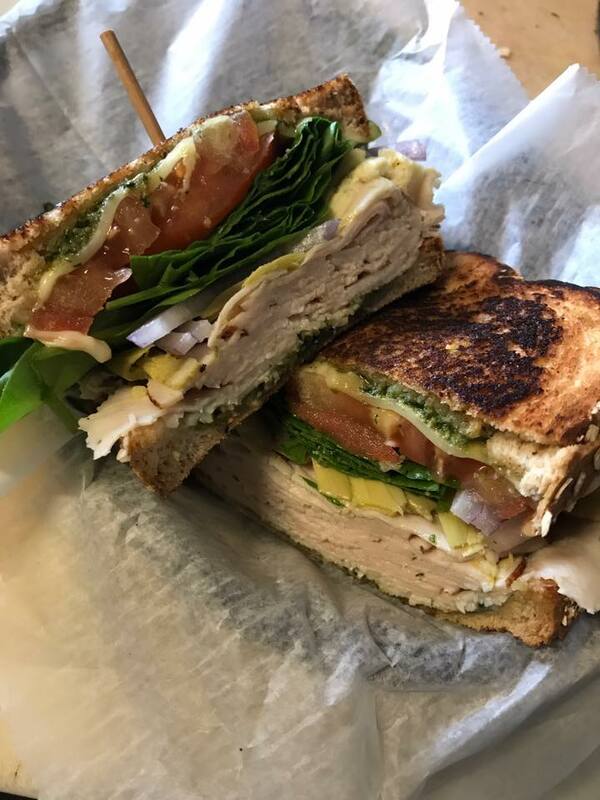 Katalina’s is a quirky little cafe and sandwich shop, cranking out delectable foods and heaps of attitude to the Central Ohio community. Their food is amazing but Katalina’s doesn’t take itself too seriously, putting their shoulder to the steering wheel and leaning in hard on the whole “hipster” motif. They both ironically and unironically serve avocado toast just to squeeze in that extra little millennial wink and toss off. Hey, judge all you want, it’s frigging good. 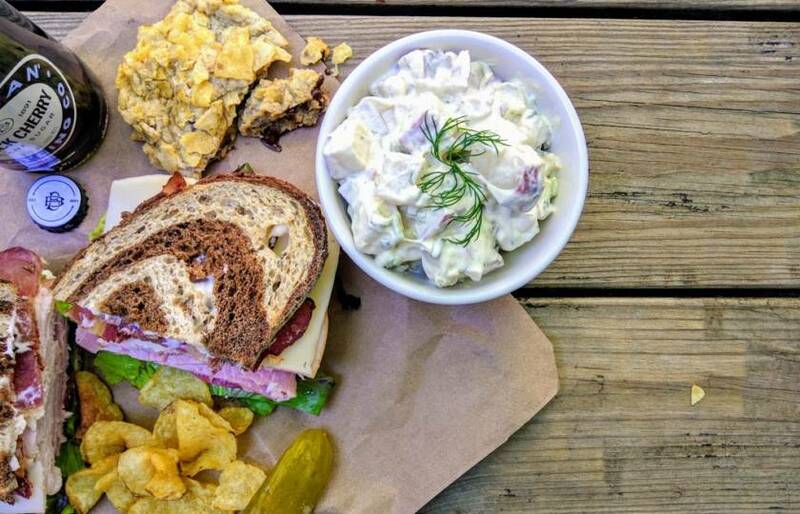 At Newfangled Kitchen, you’ll find quality foods put together to give you one of the best sandwich experiences of your entire food eating tenure. They’re doing new twists on classics light meatloaf, but they’ve also got classic options like a Rueben or a tuna melt. This is a sandwich shop for the slightly adventurous, but everyone can appreciate the delicious flavors in their simplistic design.